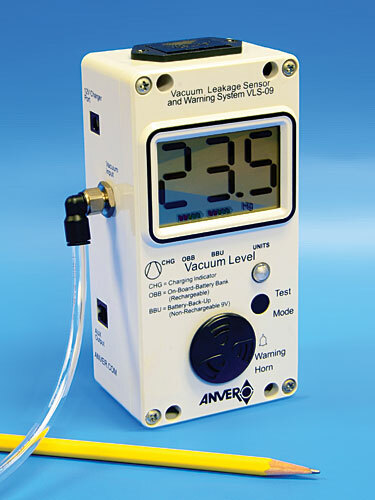 ANVER’s VLS Vacuum Leakage Sensor is now equipped with a rechargeable on-board battery bank! VLS and VLS-20 units are self-contained, solid-state devices consisting of a pressure transducer, audible warning horn, bi-color red/green warning and status light, and manual test button. The standard units of measure are inches of mercury, (Hg), but can be changed to kilo-Pascal, (kPa), by pressing the Test/Mode button in an alternating sequence during the Test Mode. 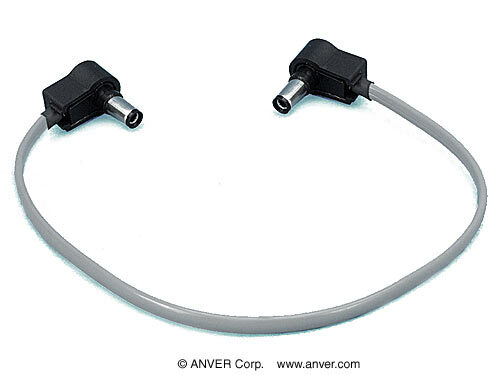 ALL ANVER Vacuum Lifters, Tilters, and special vacuum lifting machinery, can be equipped with the new VLS Vacuum Leakage Sensor by means of connecting the vacuum source to be monitored with appropriate ¼” flexible tubing, (Part No. PC-T14, clear), to the ¼” push-to-connect vacuum input fitting. The VLS-AUX (see below) is an auxiliary add-on device designed to be connected to the VLS Vacuum Leakage Sensor. When the warning system is activated, the VLS-AUX sounds a loud 105dBA siren and a flashing strobe light is initiated. This add-on device is ideal for noisy environments, where the lifter is at a distance from the operator, or where other personnel may be in the general area of use. Advanced Solid State Circuitry with state-of-the-art MCU control unit. Precise, reliable, board mounted vacuum transducer. Large LCD screen with large digits for highly visible, easy to read output. Bright flashing Red LED Warning Light and Audible Warning Horn. Rechargeable, long life, On-Board Battery Bank, (OBB). Easy access replaceable 9V Lithium Battery Back-Up, (BBU). Color segmented battery condition indicators for both On-Board and Replaceable batteries. Fast, 2 hour, recharge of OBB, with optional AC/DC Charger/Adapter, (Part No. WS12DC). Power Management logic; Operates directly and independently from 3 power sources, WS12DC AC/DC Adapter/Charger, OBB Battery Bank, or BBU Back-up Battery. (The OBB will automatically provide power when the AC/DC Adapter power is disconnected, and the BBU Battery will continue to power the VLS if the OBB Battery power is depleted. Low battery “chirp” signal, when the VLS is disconnected from an AC power source and battery power is low. Easily change vacuum units of measure between inHg and kPa. Easy Push-to-Connect, ¼” vacuum fitting. 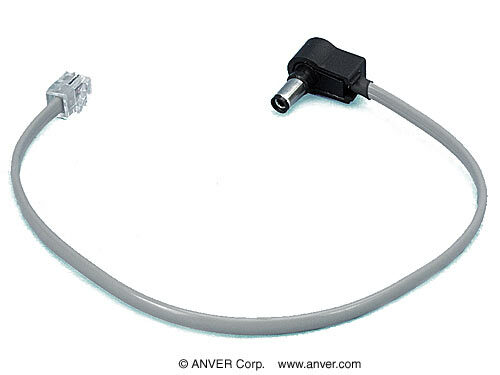 Plug-in auxiliary jack for connecting to the Anver VLS-AUX auxiliary alarm, or other peripheral devices. Plug-in input jack to connect directly to the VLS and VLS-20 Leakage Sensors. 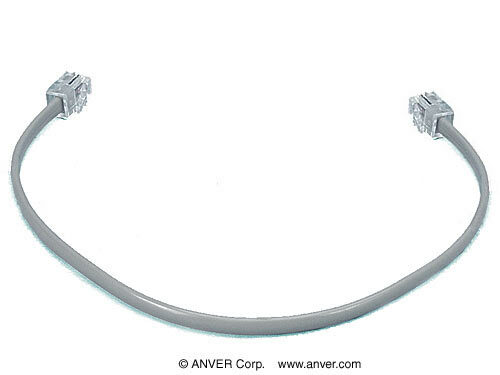 Includes 25 inch [63.5cm] long signal cable with connectors. Easy access 9V Battery Compartment. Includes (1) Standard 9V Lithium Battery. The VLS (Series) Vacuum Leakage Sensor is a vacuum level differential detector/monitoring device, designed to activate an alarm. During a lift cycle, the VLS’s MCU, (micro control unit), senses the peak vacuum level and sets its internal register. When the pre-programmed percent vacuum drop is detected, (10% for the standard VLS, 20% for the VLS-20), from that peak set-point, with a slow leakage rate of less than 1.5 inches Hg per second, the alarm will activate. The alarm remains activated until an increase in vacuum within the original set-point is registered, indicating stable vacuum with no additional loss, or if the vacuum level drops below 3 inches Hg, where the unit will go into “sleep mode”. Even the smallest leak anywhere within the monitored zone of the system will be detected. The VLS and VLS-20 are equipped with an “On-Board” rechargeable 7.2V, (nominal voltage), Battery Bank, (OBB), as well as a replaceable 9V Lithium Back-Up Battery, (BBU), in an easy access compartment. The LCD includes battery charge level indicators to visually see both battery conditions, as well as a lightning bolt symbol to indicate that the OBB Bank is being charged. With the optional 12V AC/DC adapter/charger, the VLS and VLS-20 will operate on a 110V/220V AC, 60/50 Hz power source and maintain the (OBB) charge level. The OBB recharges within 2 hours with the optional AC/DC adapter, (Part No. WS12DC). If the OBB Bank is fully charged and AC power is present, the lightning bolt indicator will disappear, and all segments of the charge level indicator will be visible. When AC power is removed, the system will run on the OBB battery bank until insufficient battery power is available, at which time the BBU 9V replaceable battery will assume power to support the unit. When battery power is low, the VLS and VLS-20 will begin to “chirp” indicating that the unit should be plugged into an AC power source and/or replace the BBU 9V battery immediately. The large 2-1/2” X 1-1/2” LCD screen, warning horn, and dual (red/green) LED indicator light can be tested by pressing and holding the Test Mode button for approximately 3-4 seconds. To test the VLS operation, (Make sure there is a 9V battery properly installed in the battery compartment.) Press and hold the Test/Mode button for approximately 3-4 seconds. All segments of the LCD will light-up, and when the button is released the horn will sound, and the LED will flash RED 3 times, then flash GREEN 3 times, to indicate proper function, and the battery status indicators will show current battery charge status. (No status indicator visible for the OBB battery, indicates that the On-Board Battery is disable. This is the initial factory setting.) The factory setting for UNITS is Hg, and can be changed alternately between Hg and kPa at this time by pressing and releasing the Test/Mode button while the units indicator is still flashing. After the desired units are set, the OBB (on-board battery) and the BBU (Battery Back Up) charge status indicators will illuminate. If the CHG (lightning bolt, charge indicator) is illuminated, this indicates that the OBB battery is activated. If the OBB battery has been disabled, only the battery image is illuminated, with no lightning bolt charge symbol, (factory setting). To Activate or Deactivate the On-Board Battery, at this point, press and release the Test/Mode button while the battery status indicators are still flashing. The lightning bolt will appear and disappear alternately, with each press of the Test/Mode button. When the lightning bolt is visible, the OBB is activated. When all segments on the LCD stop flashing, the test cycle is complete. Units and the OBB conditions are now set. The VLS and VLS-20 also come equipped with a standard RJ9 type auxiliary output jack, which is a NPN, (bipolar junction transistor n-type), sinking output that can be connected to an Anver VLS-AUX, (auxiliary siren/strobe), for greater visible and audible alert. This auxiliary port can also be connected to an I/O device, such as an emergency stop function on a CNC control, through a solid-state relay. The VLS (Series) is designed to be a warning device for vacuum leakage detection. When properly installed on ANVER vacuum lifters and equipment, the operator will be warned of a slow vacuum leakage and should have adequate time to safely lower the attached load. If the alarm signal is ignored and the lifting operation is continued, the vacuum loss may adversely affect the vacuum “hold”, possibly resulting in the serious injury to the operator. The VLS (Series) system is not designed for or not effective in detecting fast leaks or sudden failures of the vacuum systems. The vacuum level achieved, using a Mechanical Vacuum Generator, is weight sensitive, relative to the load and lifter weight, as well as the pad(s), manifold(s) and generator volume. Lighter loads will produce a lowered vacuum reading, which may render the VLS system ineffective. 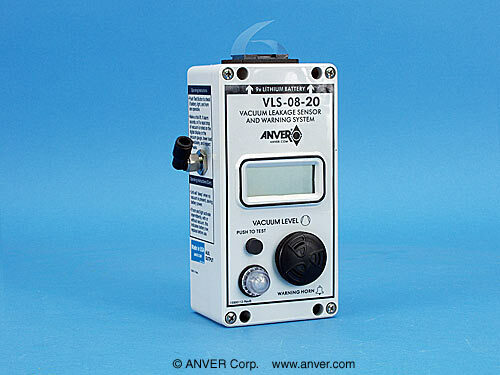 The VLS-AUX is a peripheral device designed to be connected to the VLS vacuum loss sensor. 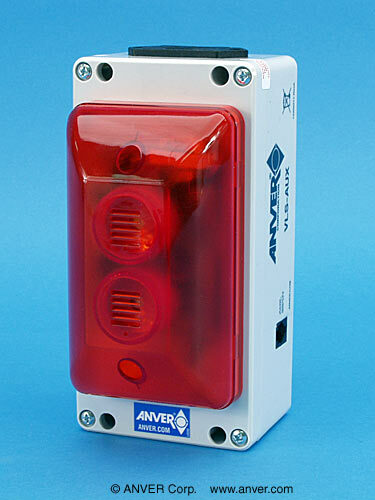 When the VLS warning is activated, the VLS-AUX sounds a loud 105dB(A) siren and the flashing strobe is initiated. This add-on device is ideal for noisy environments, where the lifter is at a distance from the operator, or where other personnel may be in the general area of use. This device has a self contained, easily accessible 9V battery and plugs directly into the AUX output port on the side of the VLS Vacuum Loss Sensor unit with a signal cable 25” [63.5 cm] long (included). Auxiliary Alarm for VLS-08 Includes VLS-08CAB. 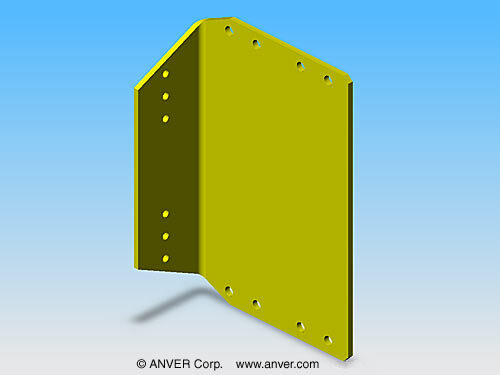 NOTE: The VLS-01, VLS-02, VLS-07 and VLS-08 are no longer manufactured by or available from ANVER. Retrofit kits are available to repair/upgrade the VLS-01, VLS-02, VLS-07 and VLS-08. Contact ANVER for details.